A long time ago I decided that I was just going to make most things from scratch from now on. Some gasp at the fact when I talk about it , but really it has made my life so much easier. I keep basic ingredients on hand and can whip up almost anything I need to in no time at all. Not everything homemade has to take hours or make a huge mess. It is all about preparation. Have everything you need within reach and nothing you don’t! Less clutter, more room to work. 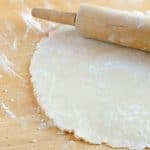 My favorite from scratch go to is the Asian Potsticker dough. It is ridiculous how easy this is to make. I am serious. Try it once. You will make it again. And again. The process below looks like it could take awhile to make, but it absolutely can be worked up in 5 minutes. A few seconds to add the water and then a few minutes of working the dough. Flour, Salt, Boiling Water. WOAH. slow it down. 3 ingredients! Yes, that is correct. 3. 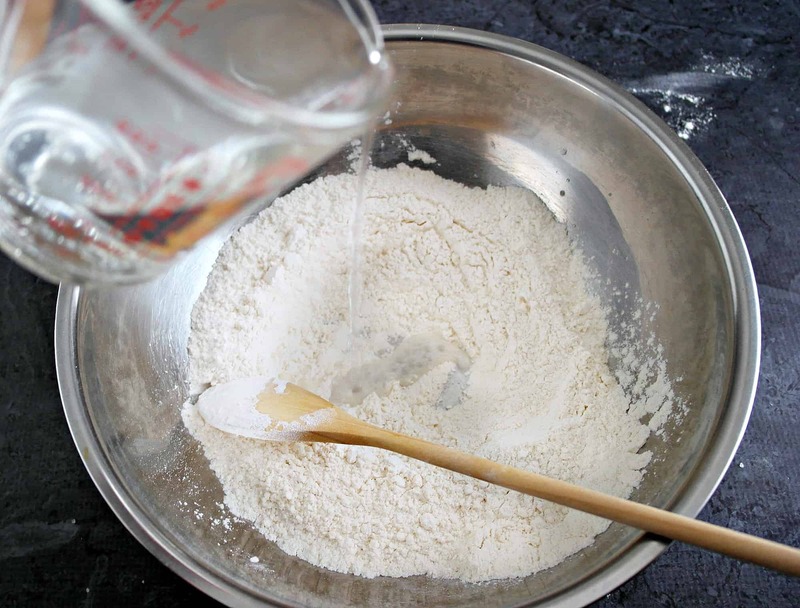 Start by adding 2 cups flour and 1/4 tsp salt to a bowl. Slowly pour in 3/4 c boiling water. Mix. 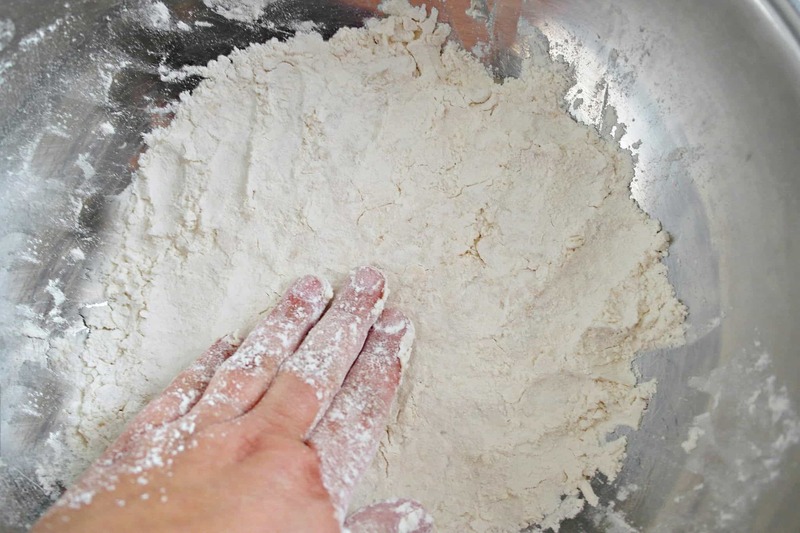 Once the flour is mixed in, firmly press down on the mixture to get it to stick together. 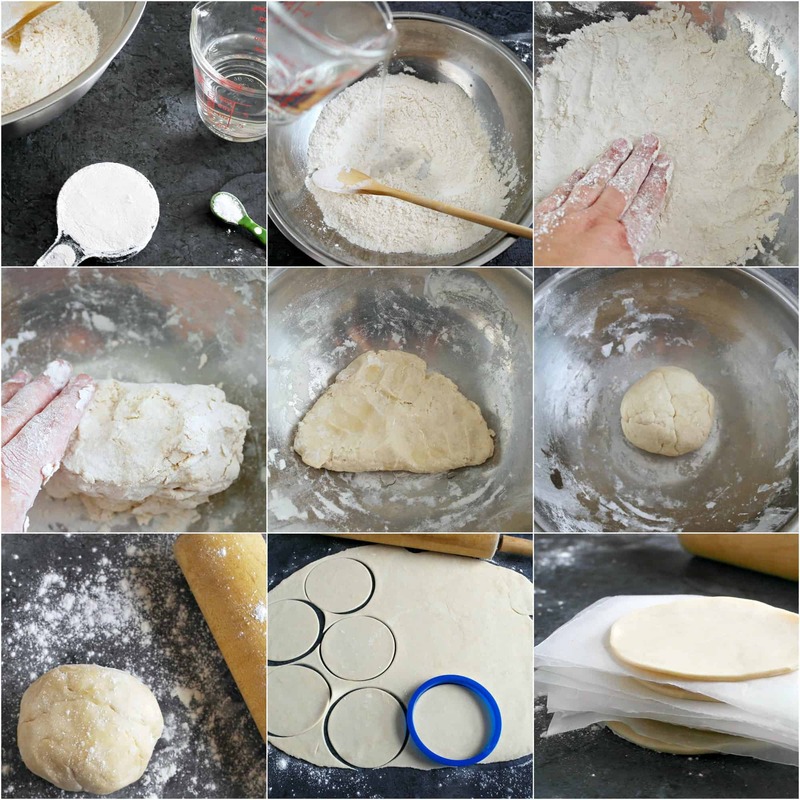 Fold the dough over (it may still crumble), continue pushing down and turning over to work the dough until it can be shaped into a ball. Most of the kneading is done in the bowl! Less mess. Flatten the dough out into the bowl and drizzle about 1 tablespoon of oil over it (your choice, we use Olive Oil), continue to press and fold the dough to work in the oil. 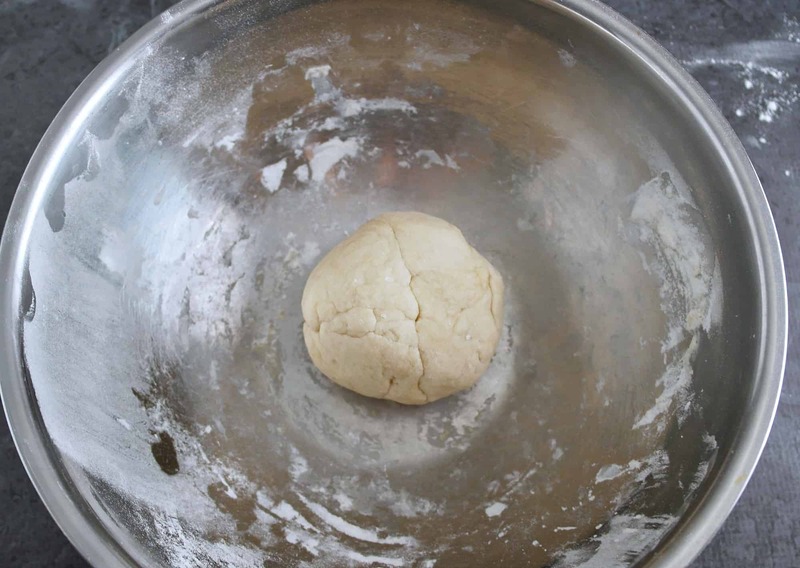 Shape the dough into a ball, cover the bowl with plastic wrap and allow the dough to rest for 1 hour. DONE! 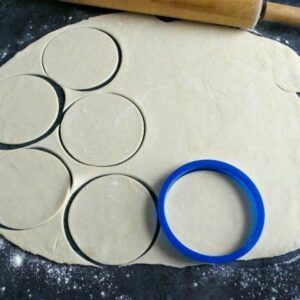 After the hour is up, roll the dough out on a hard flat surface. 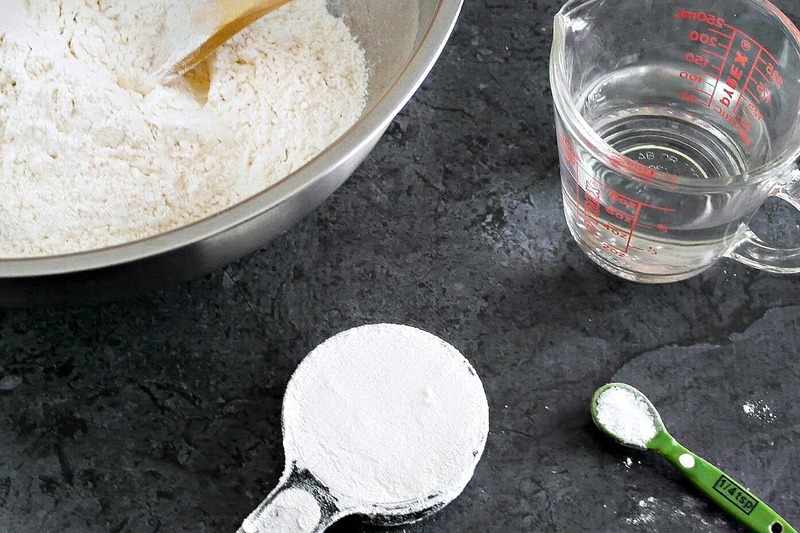 If your dough was made right, you will not need a lot of dusting flour. I added a small sprinkle just in case. Later on that evening, I made a second batch and did not dust the counter. 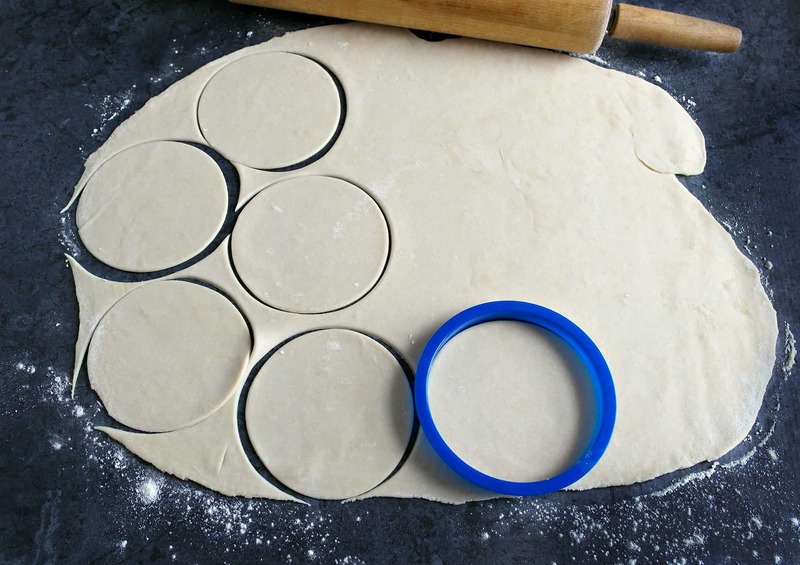 Dough should be rolled out to about 1/4″. 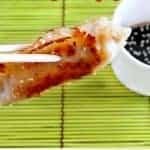 Fill with your favorite filling or try ours Easy Sweet & Spicy Ginger Pork Potstickers. OR skip the Asian flare and try new flavors! We have made buffalo chicken potstickers many times. 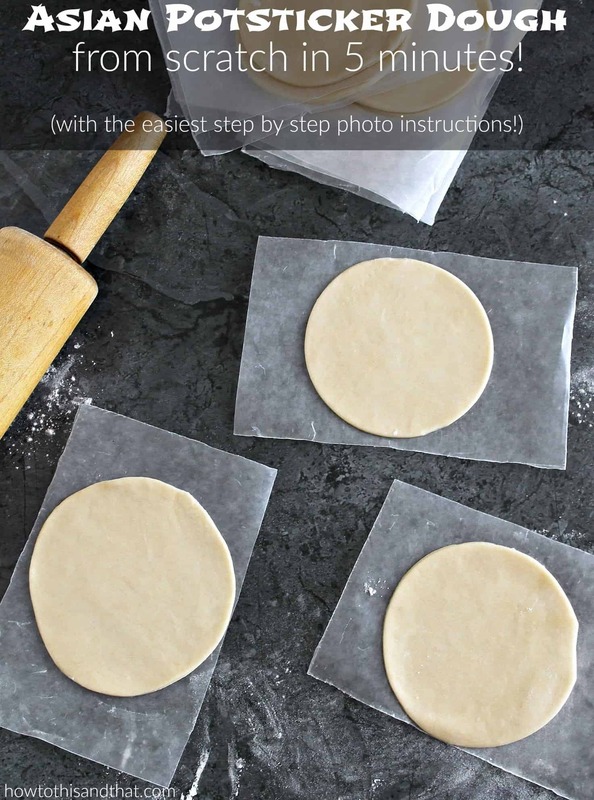 Our quick and easy process for making Asian potsticker dough in 5 minutes, plus a video collage to give you a more visual idea of how easy this is! Add 2 cups flour and 1/4 tsp salt to a bowl. Slowly pour in 3/4 c boiling water. Mix well. 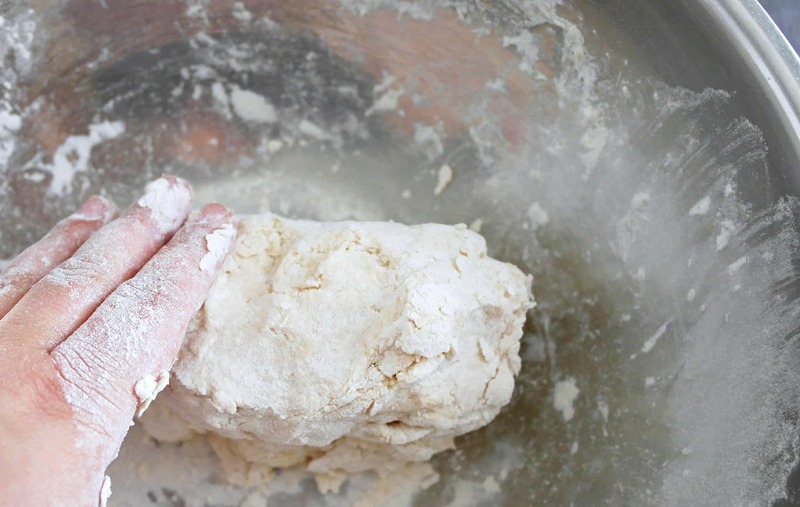 Work the dough until it comes to together and is no longer crumbly. This will take a minute or two. 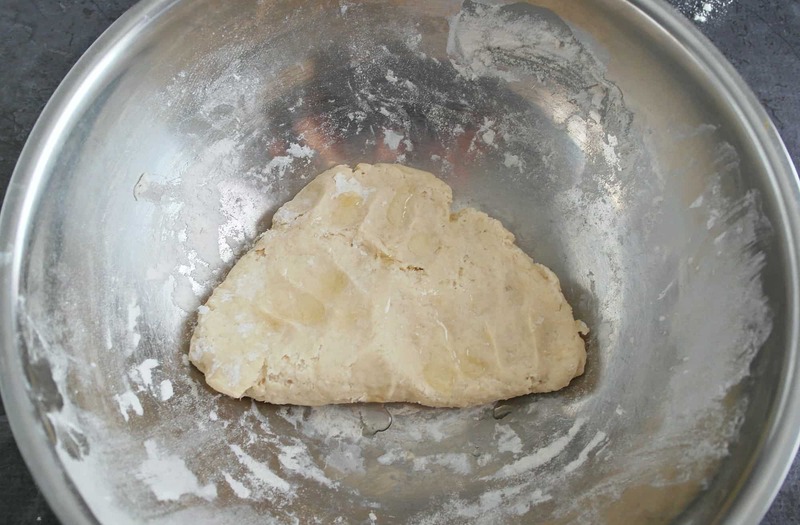 Shape the dough into a ball, cover the bowl with plastic wrap and allow the dough to rest for about 10 minutes. Roll out to about 1/4" thick, cut with round cutter, fill. 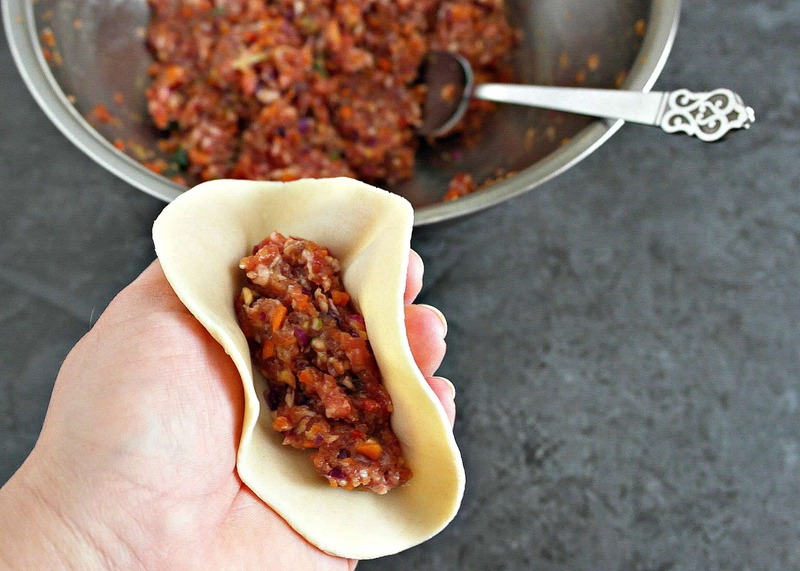 See our Easy Pork Potsticker post for a delicious recipe! Could this be made in a food processor? 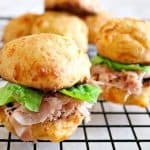 Could I use gluten free flour? This looks like a wonderful recipe. I am so sorry, I haven’t tried and would hate to say yes and have them not come out. 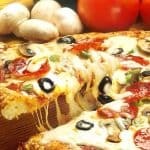 I think maybe if you follow the process of my fathead pizza dough recipe on this site, using cheese as a binder to replace the gluten in regular flour, it may just work!